If you work in any industry where you or your staff members are required to move heavy loads between floors, you will be more than aware of the health and safety risks associated. In fact, the likelihood is that you are required by law to ensure that you are fully conscious of the health and safety regulations. Heavy lifting may not only lead to injuries, but it is also tiring and tedious, which can directly affect how your staff members perform for ‘more important’ elements of their role. In this short guide, we will explore what companies may require a trolley lift and if one could be beneficial to you. Who might need trolley lifts? If you work in a company that handles heavy goods or a business that regularly needs to transfer equipment between two floors, then a goods lift could be ideal. Goods lifts are ideal for bars/restaurants or even retail outlets because they allow you to transport heavy equipment safely and without risk. They can either be used between floors or between ground floor and mezzanine floors in warehouses. With the majority of trolley lifts being able to handle at least 250kg, a floor loading lift (in a factory) can allow you to move heavy equipment in seconds. 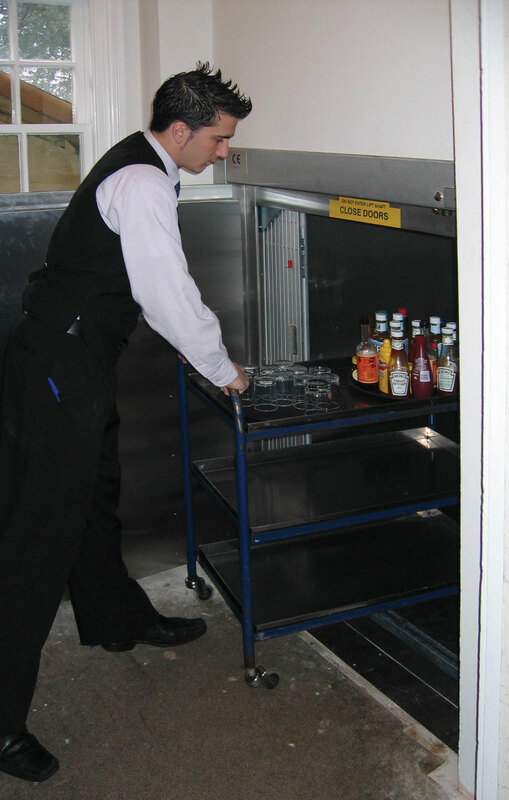 Trolley lift installation – they can be installed in just a few days with minimal disruption. Remove the health and safety risk – as explored, as employees do not have to lift heavy objects between floors, the risk of lengthy layoffs and the associated costs with an injury are lowered significantly. Cost – as the technology has developed and more companies are now offering their services the cost of a goods lift is as low as they’ve ever been. As you can see from the above, many different companies can benefit from a floor loading lift. Therefore, if you think that you may be able to benefit, make sure you explore more about trolley lifts.